Art historian, essayist, poet and novelist, he has also written an opera libretto. His essays have been published in Italian and French. He was born in Prague on 20 March 1942. [Kroutvor] puts together a mosaic from many fragments which could very well be arranged in a different way. 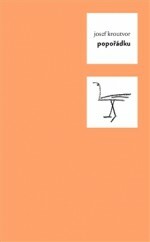 It is slightly reminiscent of a kaleidoscope – if the book could be shaken, other patterns and connections would emerge among the colourful facets of the text. He graduated from Charles University (in philosophy, history and art history), then left for a year’s sabbatical in France. After his return he was employed in various occupations. He was forbidden from publishing and his work (both academic and poetry) was only published in samizdat form. He has written thirty books examining literature, architecture, painting, photography, urbanism, sociology and the psychology of culture. 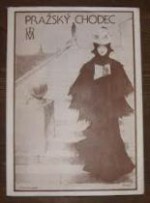 He is an expert on the history of the poster and advertising. For ten years he worked at the Academy of Arts, Architecture and Design in Prague as the head of the department of applied graphics and photography. 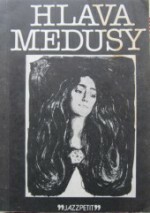 He is especially interested in the wok of Vladimír Boudník, Josef Váchal, Gustav Klimt, Egon Schiele, Czech cubism, Karel Hynek Mácha, Jiří Sopko and Bohumil Hrabal. 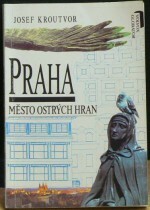 In his book Praha, město ostrých hran (Prague, City of Sharp Edges, EE, 1992) he took an essayistic look at Prague, which he also undertook with the essay Benátky – Město kanálů, paláců, umění, kurtizán, karnevalů a koček (Venice – City of Canals, Palaces, Art, Courtesans, Carnivals and Cats, E, 1992). 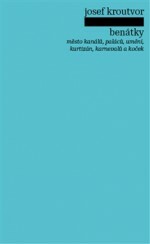 He uses the Kafkaesque pseudonym Josef K.
His first works were published in samizdat form, and some of his poetry and essay work was published in Czech in the collection Fernety (Shots of Fernet, Torst, 1998), which summarizes Kroutvor’s work from the 1970s to the 1990s in almost seven hundred pages. “The essay is the starting point. At one stage I tried to define the essay as an adventure on the borders between several artistic categories: literature, art history, history, but also sociology and psychology. I’m interested in information from various quarters, but I’ve always tried to apply a distinct stylistic quality; I never just wanted to relate the facts. In Bohemia, where a positivist tradition predominates, authors look at the essay slightly through their fingers: for them it isn’t literature and it isn’t science. I’ve always regretted this because the essay is well respected across the world and is a recognised genre. 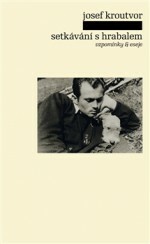 I would even say that the most interesting academic works have been written in essay form,” explained the author in an interview with Radim Kopáč for the Festival of Writers, where he was honorary guest in 2008. He is the author of a collection of reflections entitled Živly (Elements, Herman a synové, 1997) and the study Café fatal (Café Fatal, Dauphin, 1998), where he returns to art and the Vienna-Prague-Paris axis. 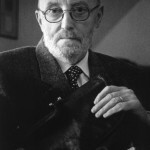 His critical essays on art over the past forty years were published in the collection Suterény (Basements, H + H, 2001). 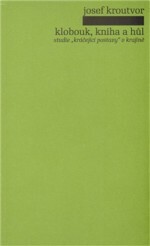 Arbor vitae publishers then brought out the book Města a ostrovy (Cities and Islands, Arbor vitae, 2002). 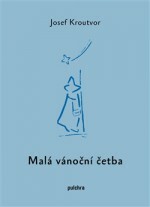 Critic Radim Kopáč wrote about the book that, “Reading Města a ostrovy not only means reading a well-written guide to European cities and adjacent islands, but at the same time you delve into a bewitching poetry which develops the poetic tradition of Nezval, Seifert and Biebl.” The collections Pouštění draků (Flying Kites, BB art, 2002) and Rozsypaný čaj (Spilt Tea, Knihovna Jana Drdy, 2005) are purely poetry. 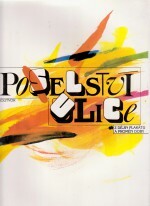 Kroutvor’s poetry was then published as an anthology in the collection Poezie režná i glazovaná (Poetry Peeled and Glazed, BB art, 2006). Kroutvor’s latest book, Popořádku (First Things First, Pulchra, 2015), also has a poetic sensibility. 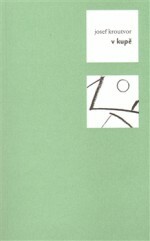 He published a collection of six essays, Klobouk, kniha a hůl (Hat, Book and Stick, Pulchra, 2009), which looked at the links between creativity and the landscape by referring to the works of specific authors (e.g. Karel Hynek Mácha, Josef Váchal and Reydek Deml). “Kroutvor’s landscapes are connected to the work of figures who stood alone in society during their lives, but in the centre of the landscapes which they admired. 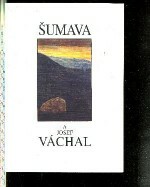 Again they are landscapes ‘on the periphery’, often at the border, or where you have to fight your way through the initially tough outer layer: areas such as the Šumava region, the Novohrad mountains and Vitorazsko, and then the Highlands, an inland region but with a borderland feel,” wrote Jiří Peňás about the collection in the newspaper Lidové noviny. In the form of travel-writing essays (some of which had been published earlier), Nové cesty na jih (New Journeys to the South, Pulchra, 2011) describes the cities of southern Europe in relation to sociology, psychology, geography and art history. Chvály, pocty i rozpaky – úvahy o řemesle, obyčejných věcech a krajině (Praise, Accolades and Embarrassments – Reflections on Crafts, Ordinary Things and Landscape, Pulchra, 2015) presents ordinary things and our relationship towards them – the shovel, stone, an alley, handmade paper and the smell of turpentine.